LANCASTER, Pa. (February 7, 2019) – EZMarketing is proud to announce the launch of Kelly Mahler’s new website, www.kelly-mahler.com. "Kelly has a unique business model, and we wanted to create a website that was not only educational but a platform for her to grow her business," said Joe Sites, Web Designer and Developer for EZMarketing. 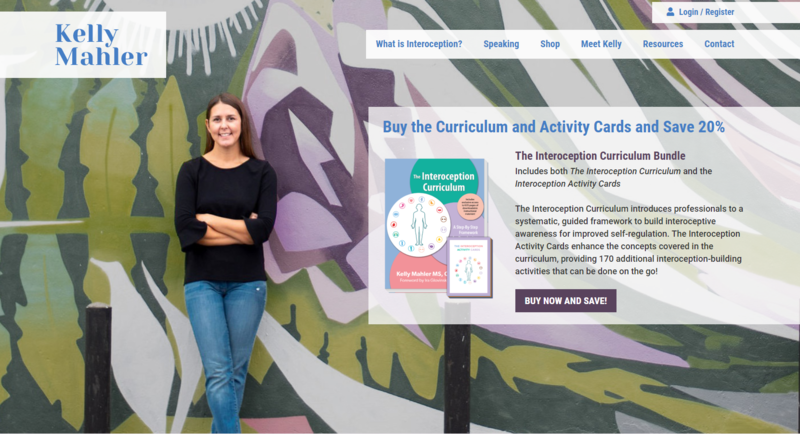 "The website is designed to help people get the resources they need regarding interoception and promote her new book and supporting materials."